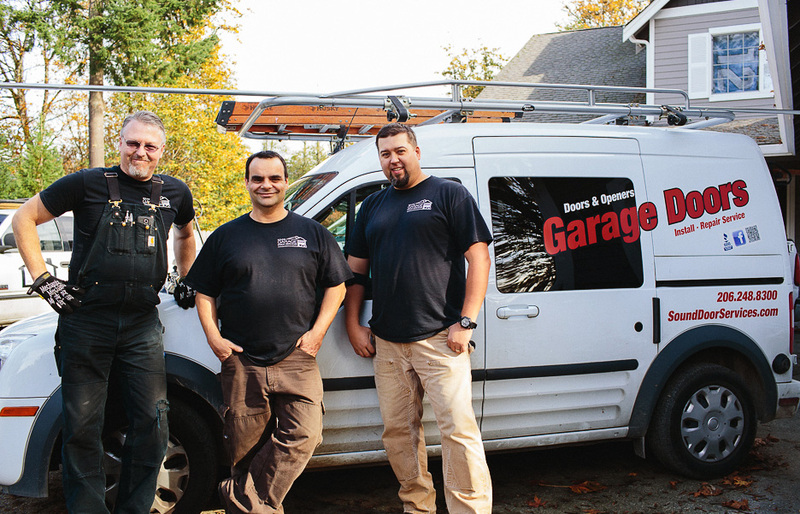 Locally owned and operated, Sound Door Services is your neighborhood company for garage door installations and repairs in the Seattle, Bellevue, Renton and Sammamish areas. Whether you’re picking out a brand new garage door or need service for a broken spring, panel or door, our experienced technicians will complete the job swiftly and professionally. With over 15 years of experience, you can rest assured that our technicians are competent and knowledgeable and are not paid on commission – we won’t sell you something you don’t need or want. We always give free estimates on garage door repairs, new garage doors and garage door openers so there is never a charge for us to come out and take a look. Located in Renton, we proudly serve the Puget Sound from Maple Valley to Woodinville, Bothell to Issaquah and Kirkland to Snoqualmie. Browse our project photos for inspiration from local jobs! Please use the form below to send us a message. We will respond as soon as possible. For faster service, you can contact us by phone at (206) 200-9049. Serving the Greater Seattle area including Renton, Bellevue, Issaquah & Snoqualmie.